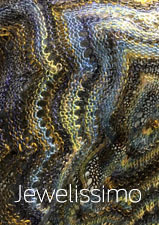 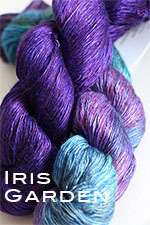 skein, and deep indigos on the other. 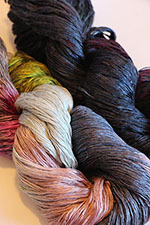 They play off each other so beautifully! 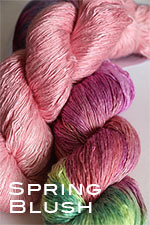 Discounts will be applied automatically at checkout! 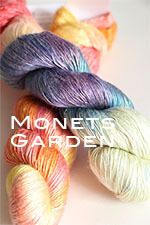 If you prefer to choose your own colors, you can order any color we carry from the ensemble light pages! 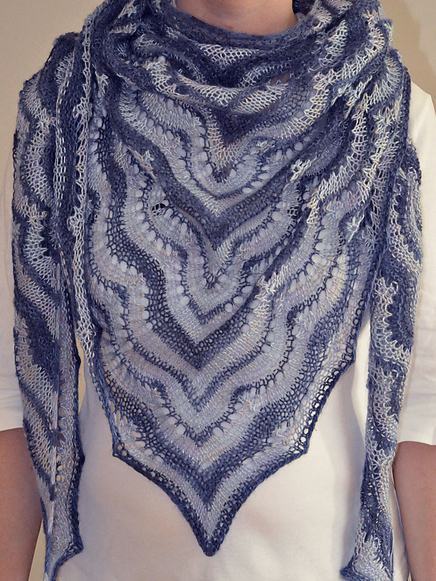 The pattern is an automatic download with ensemble light yarn! 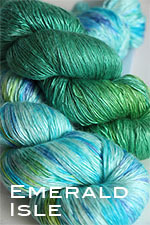 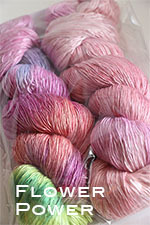 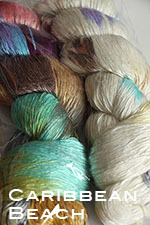 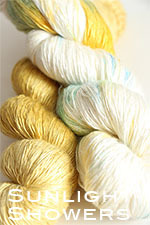 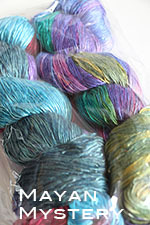 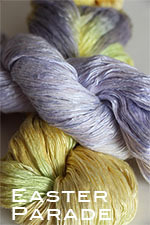 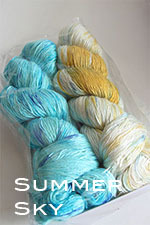 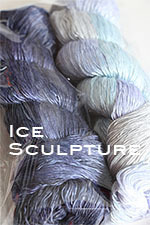 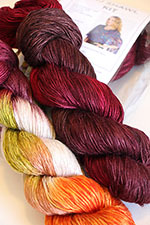 See an amazing assortment of color combos on the Taj Ravelry Page!